Pissed off with politicians, banks, and other assorted power elites plundering the world? Fed up with politicians’ empty promises? Do you want to actually DO something about it? You need some direct action training! There workshops are to be held in October, November and December and will cover legal matters, the media, organisation etc. 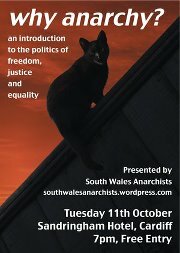 Please see the Direct Action Cardiff blog for details and book yourself a place. 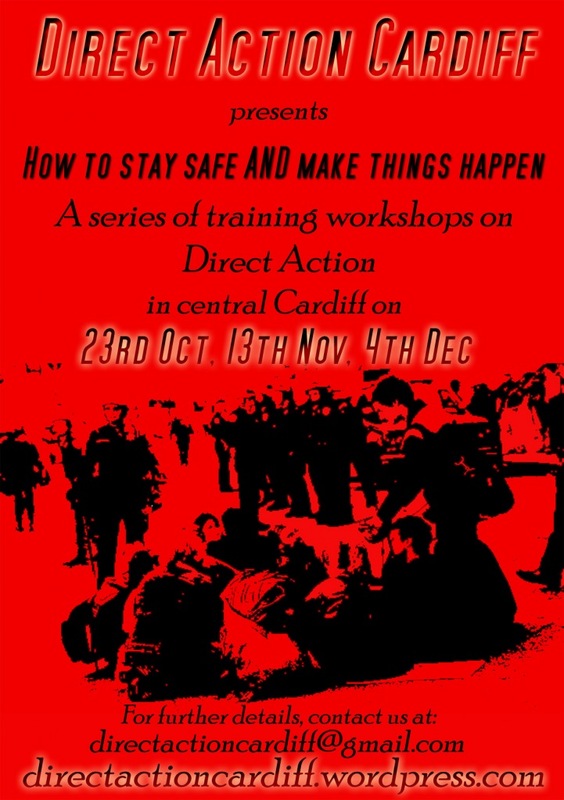 Come and find out how to stay safe AND make things happen!